In order to permanently protect weld seams against the penetration of moisture, BMW AG’s Leipzig factory seals the weld seam on the roof rail. 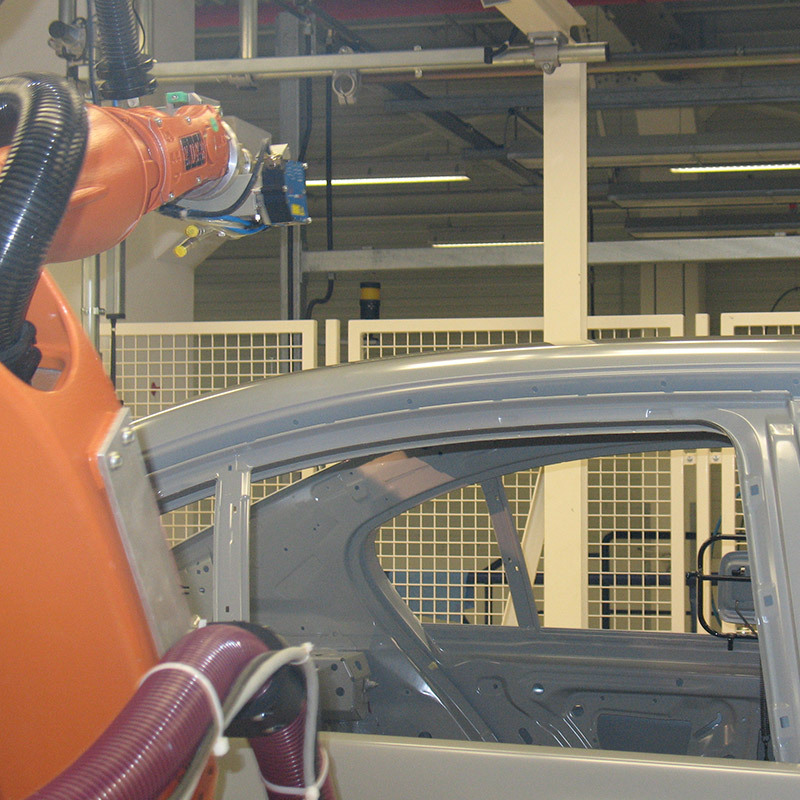 A robot automatically applies sealant at the position where the side frame is joined to the roof panel. A laser sensor from Micro-Epsilon, which prepositions the robot using distance measurement, is used so that the robot knows exactly where each weld seam is located.